We're excited to bring to you Episode 2: Yoga as Art, with special guest Amanda Giacomini, also known as 10,000 Buddhas! Giacomini is a yoga teacher, artist and co-founder of Point Reyes Yoga in California. 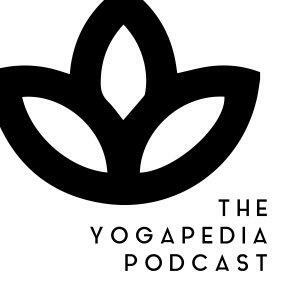 Giacomini and her partner Nicholas, known as MC YOGI, are a dynamic duo, who travel the world sharing their creative talents and their experience of yoga. In this episode, we talk with Giacomini as we sit in front of a collection of her paintings at her yoga studio, which is nestled in the rural coastline of Point Reyes. Giacomini first met yoga after a health crisis in her late teens, which manifested as a rare autoimmune disease. Through our conversation, she shares her intimate and powerful healing journey in yoga and how her painting project became her practice. Giacomini has been teaching yoga for over 25 years. She has taught yoga across the world, including The White House and the Forbidden City in China. Giacomini has been an artist for almost the same amount of time. Inspired by ancient Buddhist artwork in the Ajanta caves of India, Giacomini lead a mission to paint 10,000 Buddhas. Now with more than 10,000 Buddhas painted across the world, 10,000 Buddhas is a highly sought-after art project that includes large-scale murals and fine art paintings.